EVERYTHING IS HAPPENING IN THE PARK! Beautifully designed and stunning architecturally, this handsome residence awaits your personalization! Situated on a double lot just steps from The Village shopping and entertainment district, there is a lot to love! From the moment you enter the foyer, the decorative plaster detail and hardwood flooring are exceptional. Step-down into the sun-filled den which is adjacent to the office and three-season garden room. The kitchen has been updated with built-in appliances and offers a huge island center with gas cooktop. Additionally, there is a formal dining room, large family room with mudroom. Upstairs, there are four bedrooms and two full baths. Additional amenities include the three car garage, brand new boiler, new generator for the rare power outage, walk-up attic, rec room with wood flooring and completely fenced yard with privacy fence. Priced to sell at $360,000! DOWNTOWN DETROIT AT ITS FINEST! Exciting and upbeat, the Park Shelton offers a complete lifestyle for those seeking convenience, style and charachter! 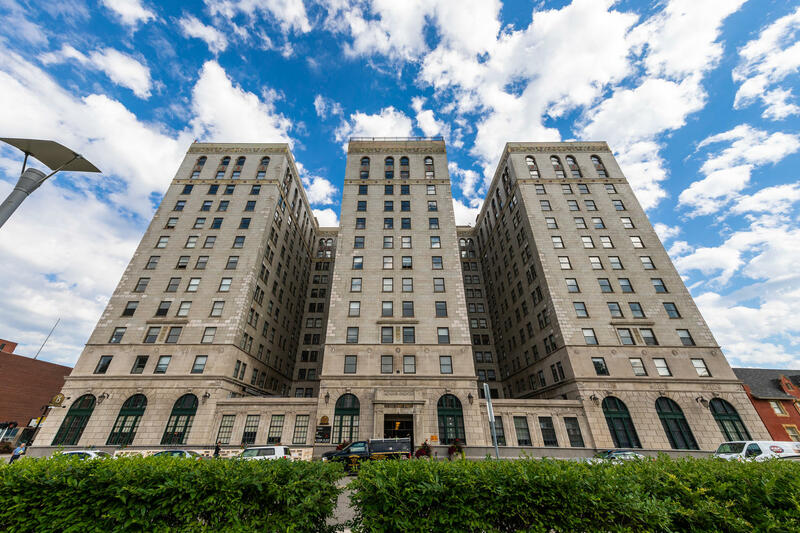 Located adjacent to the DIA, this handsome building provides 24/7 security, attached garage, gourmet and casual restaurants and a community of residents that appreciate all that this historic building has to offer! The unit is strategically located on the 5th floor with easy access to the elevator, mail and trash chutes. Inside, discover the open design with unique architectural features including the faux fireplace with Majolica tiles, two bedrooms each with its own private bath and walk-in closet, great living space with adjacent dining area and updated kitchen. Rooftop patio, fitness center and community laundry room are additional amenities. Much more to see. Make an appointment today!! $399,900! FIRST FLOOR MASTER BEDROOM - SOLD!!! QUIET CUL-DE-SAC in favorite Farms location is the site of this stunning residence with fabulous updates and handsome design. Beautiful new kitchen with custom cabinetry, quartz countertops, hardwood flooring and doorwall to the private patio is exceptional! There is also a mudroom/laundry room adjacent to it and to the attached two plus car garage. The first floor master bedroom with private bath will allow you to stay here for a very long time! Upstairs, three bedrooms and two full baths will allow you to comfortably downsize. 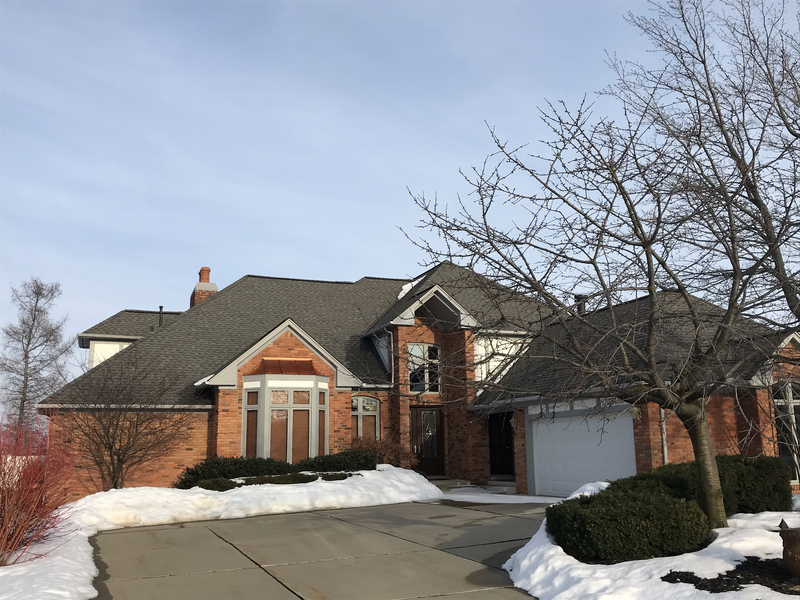 There is also a living room with vaulted ceiling and fireplace, family room with fireplace that opens to the kitchen, formal dining room and basement with rec and work rooms. So much house in a compact space! $695,000. FABULOUS IN THE FARMS! 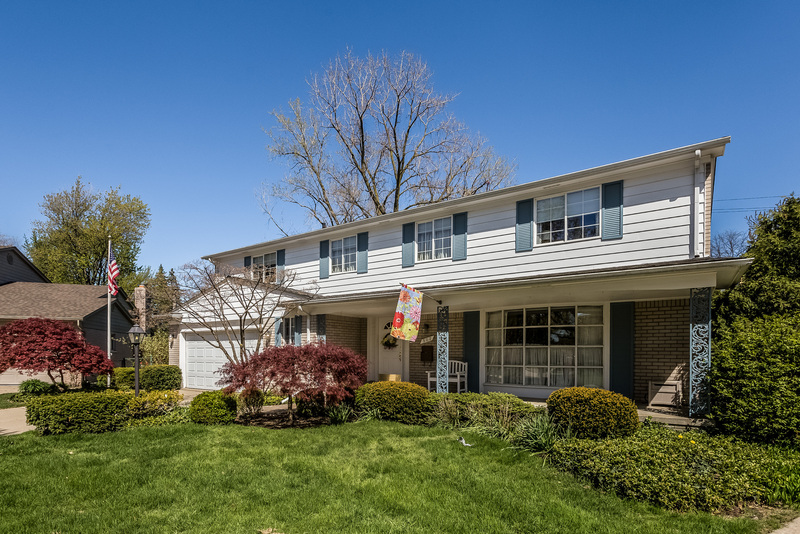 Enjoy the wonderful updates, the classic styling and the exceptional location of this immaculate five bedroom, three and one half bath residence. Carefully maintained throughout, this lovely home has gleaming hardwood floors and wonderful natural light. The upbeat kitchen is a dream with its center island, gorgeous granite countertops, extensive white Grabill cabinetry, walk-in pantry and huge eating area which opens to the family room with raised hearth fireplace. There is also a den with vaulted ceiling and fireplace which gives that added plus! First floor guest bedroom with bath, first floor laundry area, master bedroom with fireplace and private bath, finished lower level and a fenced yard with brick paver patio. Beautiful! $725,000. BETTER HURRY BEFORE THIS ONE IS S*O*L*D*!! 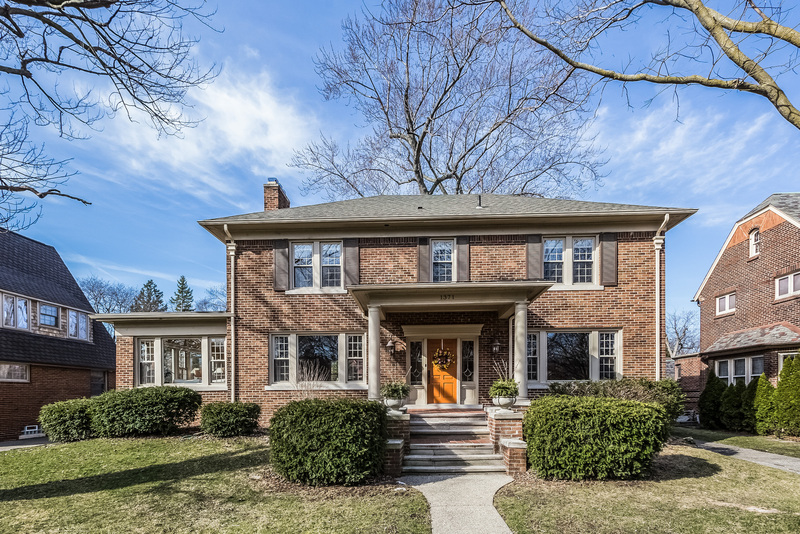 Perfectly situated in a favorite location in Grosse Pointe Park, this handsome side entrance colonial has been smartly decorated and expertly updated to provide the lifestyle that you want! The gleaming, refinished hardwood floors lead you through the front entrance hall to the living room with its fireplace, formal dining room and stunning gourmet kitchen with eating area. There is also a first floor office which would be a great guest room. The cheerful family room opens to the kitchen and views of the fenced backyard are impressive. Three spacious bedrooms are upstairs, as well as one and one half baths. (There is also a way to expand that half bath to a full one!) Finished lower level, attached garage by a breezeway, new patio with extensive landscaping are yours, too. A lovely home! STUNNING NEW ENGLAND COLONIAL offers unique combination of architectural style, fabulous updates and wonderful location. Situated in a perfect location near Village shopping and entertainment district, public schools and two private parks for residents' only, this handsome home offers four levels of well-designed living. The first floor provides gleaming refinished floors in the living room and throughout the formal dining room and adjacent family area. New gourmet kitchen with adjacent mud room. Den with corner fireplace and first floor powder room. Upstairs, master bedroom with new, private bath, three additional bedrooms and new hall bath. The third floor offers two additional bedrooms with two new baths. The lower level has a laundry, lav and multi-purpose rooms. Multiple patios, deep, fenced yard, two car garage and extras that you have to see to appreciate. NEW PRICING!! $ 699,000!!! - SOLD!! PRICED ALMOST $200,000 LOWER TO REFLECT OWNER'S MOTIVATION!! 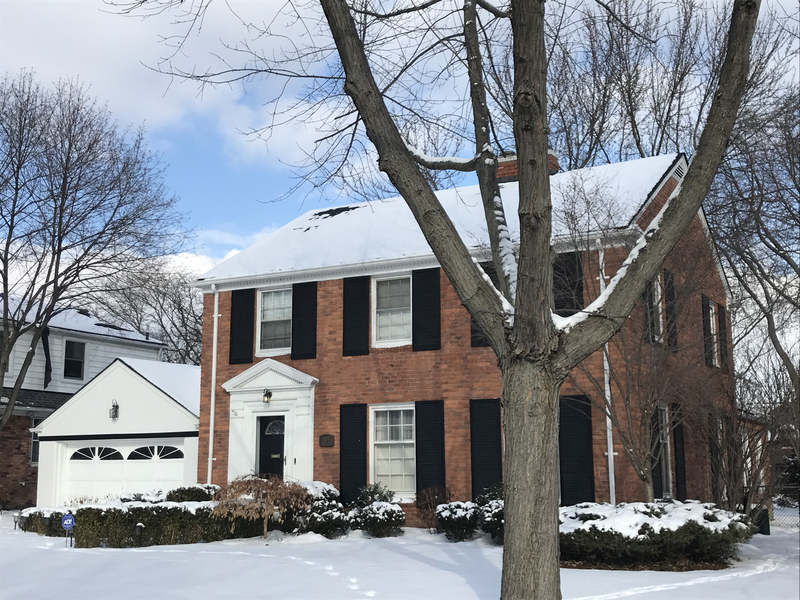 STEPS FROM THE LAKE in wonderful neighborhood in Grosse Pointe Farms, this handsome five bedroom, three and one half bath residence is waiting for its new owner! The double doored entry leads to the expansive foyer and to the living area. The cheerful living room with fireplace is open to the dining room and also to the pretty family room. 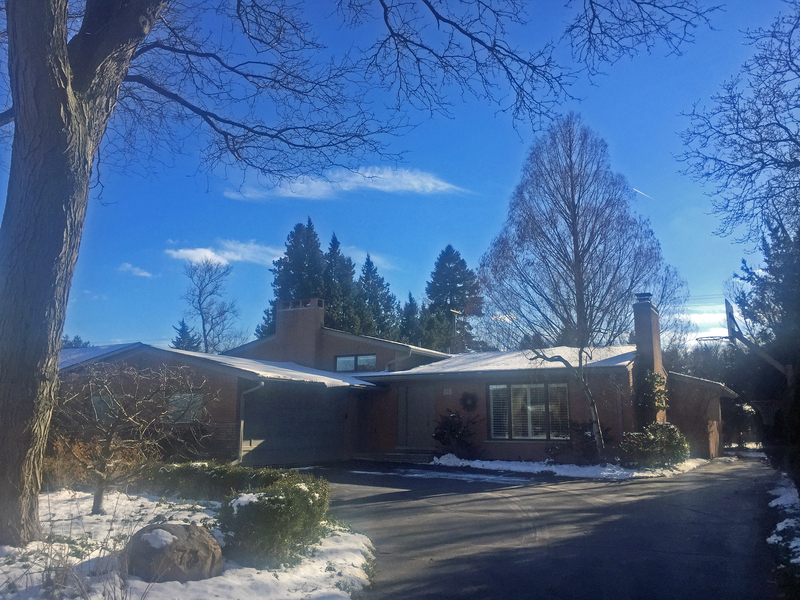 There is also a library with fireplace, nicely updated kitchen with eating area, first floor laundry room, heated garage and rear service stairs. And, there's an elevator!! The rear yard is gorgeous with its perennial plantings, privacy wall and brick patio with awning. About 4400 square feet of "happily ever after"! Come fly with me on this drone tour HERE! LAKEFRONT HOME WITH EXTRAORDINARY LUXURY embodies all the luxurious qualities that you would expect from a home of this magnitude and much more! Distinctive architectural elements have been enhanced with the recent renovations to the kitchen, baths, interior decor and exterior landscape. Gorgeous 55' kitchen/family room is the heart of the home with its massive marble island and gourmet appliances, fireplace and views through the French doors to the bluestone patio with stone fireplace and built-in hot tub. Sumptuous master suite, additional bedrooms each with a private bath ensuite, second floor sitting room and laundry/linen room, den with coffered ceiling and fireplace, mudroom, piano room, four car garage with new doors, circular drive and unique lot that encompasses a full block on its 1.4 acre site. The prettiest house in Grosse Pointe! Come fly with me! Click here for the drone tour. RESORT-LIKE LIVING IN YOUR OWN HOME! Enjoy the lifestyle that a home on the lake provides: boating, kayaking, swimming, fishing, duck hunting, bird watching, skating or just relaxing! This custom-built home offers a sprawling first floor with an open floor plan. Soaring ceilings and lake views abound and the updates are plentiful! Gorgeous kitchen with granite countertops, professional grade stainless appliances, island center and large eating area opens to the family room with its built-in bar, natural fireplace and custom carpentry. There is also a first floor master with sumptuous bath, cozy library with hidden door, four upstairs bedrooms, first floor laundry and boat hoists for both a 40' boat and a jet ski. WATER, WATER EVERYWHERE! 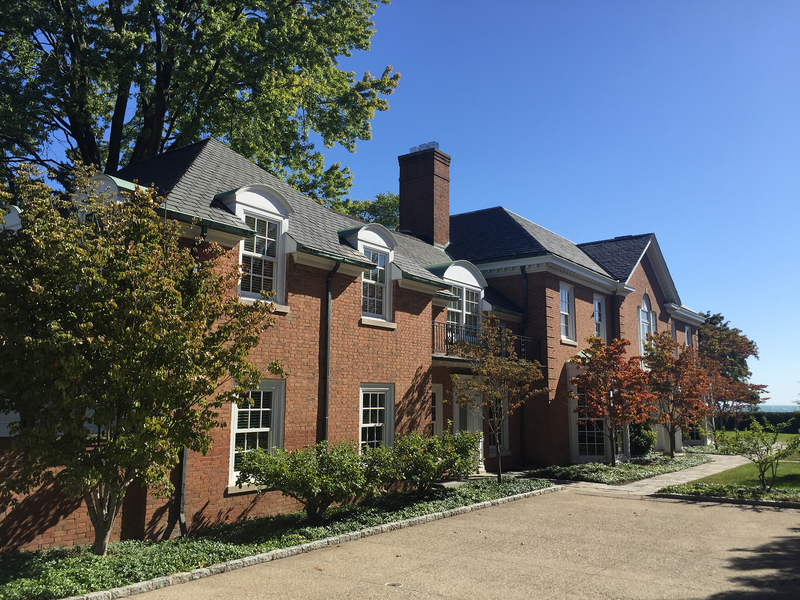 PICTURE PERFECT CAPE COD in Grosse Pointe Farms offers unparalleled convenience within its meticulously maintained interior. 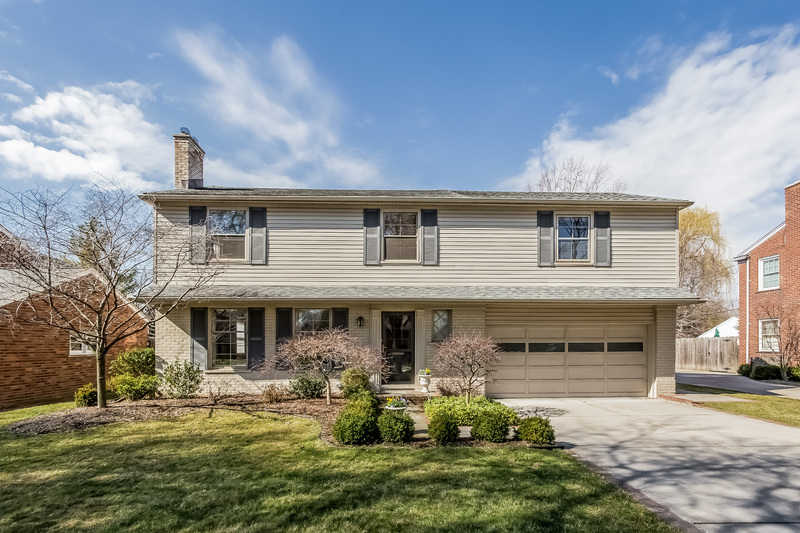 Just steps from Lake St. Clair, this four bedroom, four bath home has been totally updated throughout. Gorgeous kitchen with Grabill hickory cabinets, Thermador ovens and gas range, Bosch dishwasher and SubZero refrigerator will make gourmet meals that much more exciting. Open to the kitchen, the family room with its corner fireplace, wall of built-in shelves and cabinets and door wall to the brick paver patio is the heart of the home. The first floor master bedroom with private bath, adjacent sitting/bedroom, hall bath and upstairs laundry making living easy! Upstairs, family members or guests will enjoy their privacy and, there is a "secret" room for kids of all ages. Beautifully decorated with a gorgeous yard, this could be your "happy ever after"! 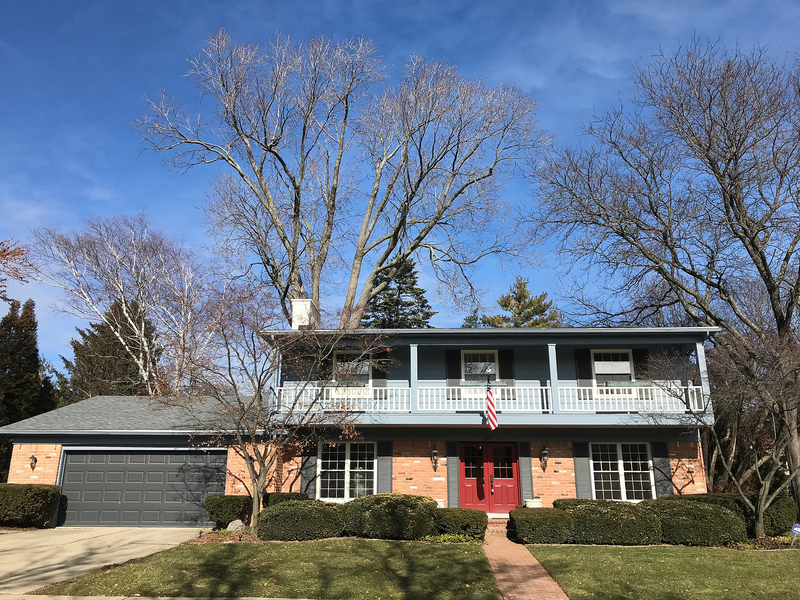 ONE OWNER HOME in convenient Grosse Pointe Woods location has been lovingly maintained and nicely updated to reflect the owner's love of the house. The two story foyer and gentle curved staircase give a great first impression. There is a newer kitchen with eating area has plentiful cabinetry, built-in appliances and opens to the family room with fireplace. Beautiful gardens will be enjoyed from the sizeable deck, too. Upstairs, there are four bedrooms, two full baths and great closet space. The lower level is finished with a recreation room, wet bar, storage room and furnace/laundry room. 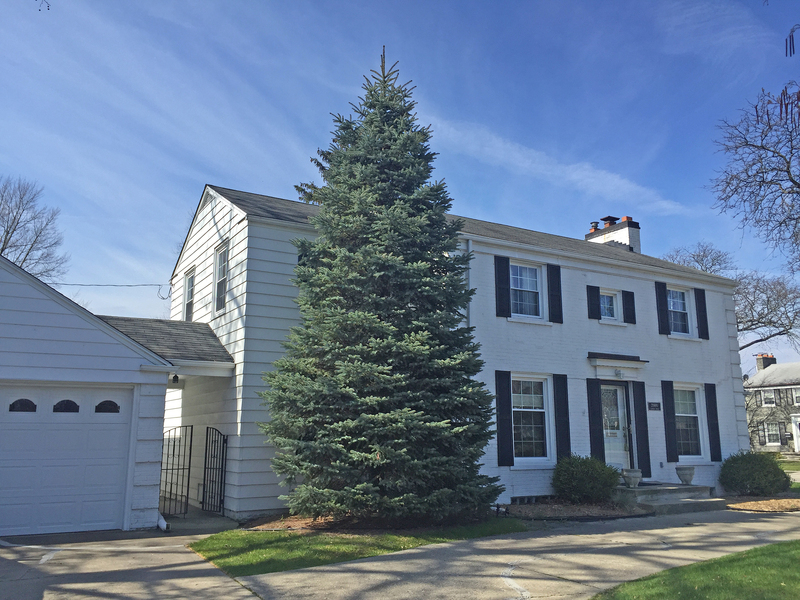 Attached garage, first floor powder room and great location near Grosse Pointe North High School and Lake St. Clair. Enjoy! 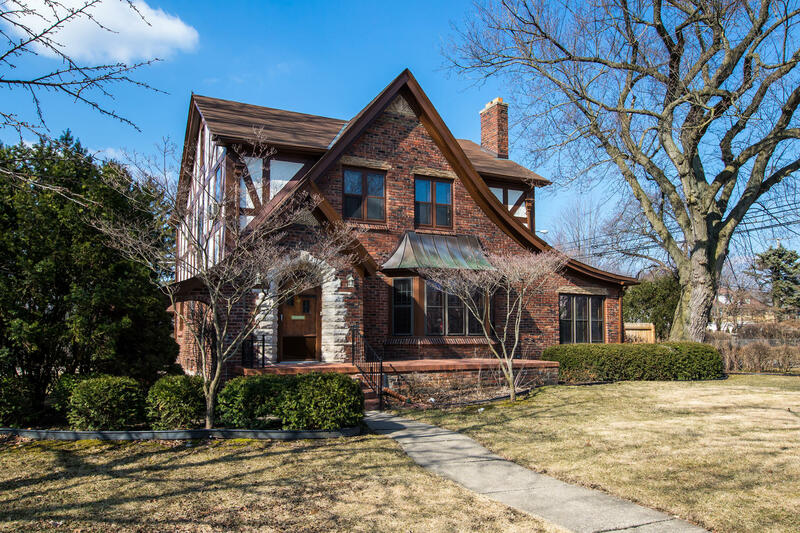 CUSTOM BUILT BY WILLISON, this handsome four bedroom, three full and two half bath residence is situation on one of Grosse Pointe Shores favorite streets. Beautifully proportionned rooms with full length windows provide an abundance of natural light. There is a marble floored entrance hall with a graceful curved staircase. The library with fireplace offers a nice retreat. The updated kitchen has built-in appliances, plentiful cabinetry, extra bar sink, walk-in pantry, eating area and opens to the large family room. The family room with raised hearth fireplace and parquet border flooring overlooks the private, well-landscaped rear yard. There are two first floor powder rooms, extra closets, first floor laundry and rear service stairs. The master bedroom has a huge private bath with dual vanities, four walk-in closets and separate tub and shower. The lower level has a large recreation room, project room, furnace room and storage areas. Circular drive, generator and sprinkler system add to the amenities. 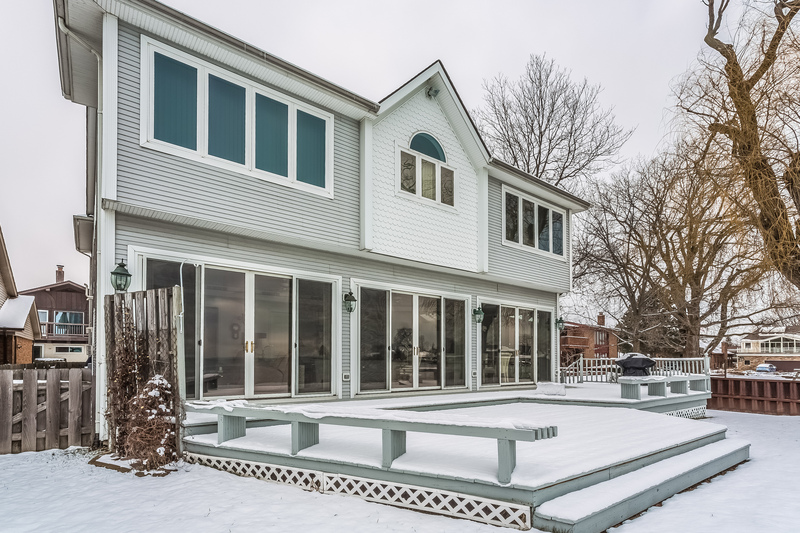 DIRECT WATERFRONT ON LAKE ST. CLAIR is the site of this custom-built residence with unlimited lake views. 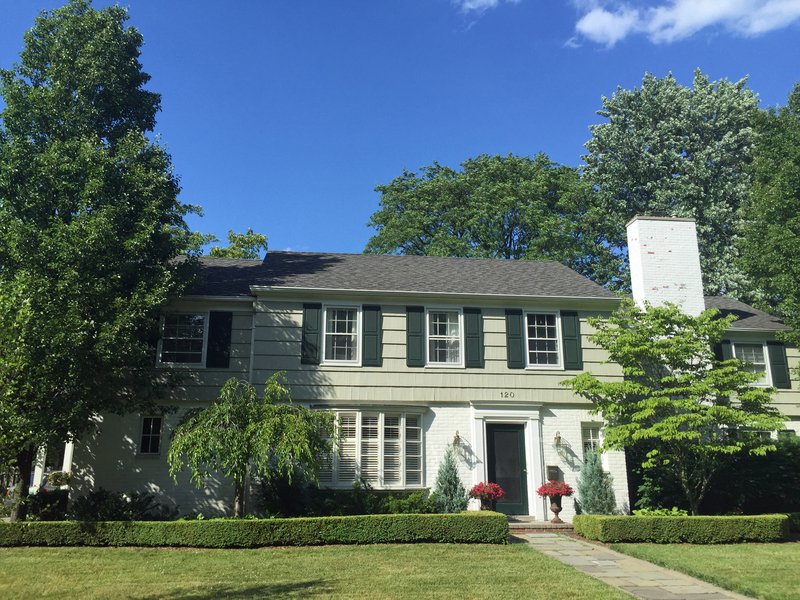 Vacation every day at home in this dramatic three bedroom, three and one half bath colonial. Enjoy the open floor plan and the ten foot ceilings on the first floor. The kitchen has extensive white cabinets, built-in appliances and a huge island with seating for friends and family. The view to the lake is through a complete wall of doors which leads to the expansive deck. There are plenty of closets and even a small organizational space. The master bedroom bath is sumptuous with its deep tub and separate shower. There is also a second floor laundry. Attached heated garage with water, four foot crawl space with cement floor provides additional storage and two 30' boat slips on the deep water canal add to this exceptional home. SO SOPHISTICATED! SO EXCITING! SO NOT YOUR ORDINARY HOME! Picture a cosmopolitan loft, an HGTV renovation or a decorator's model home and you'll get an idea of what we have to offer here! Nothing was spared in the renovation of this unique three-level residence! Beautiful, gourmet kitchen with granite, custom cabinets, chef-quality appliances and open design. There is a family room that opens to the kitchen, first floor master bedroom with its private bath and walk-in closet, three additional bedrooms and two full baths and an unbelievable lower level with Bose stereo system, built-ins, fireplace, powder room and laundry area. 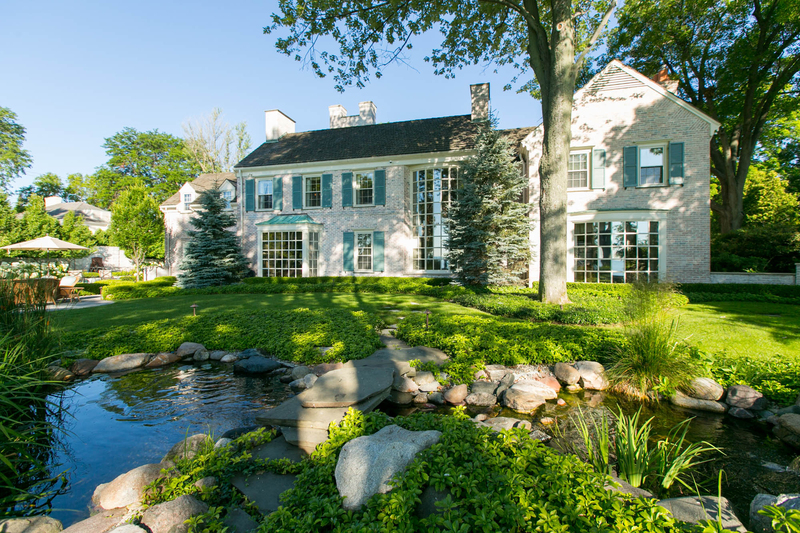 Gorgeous landscaping designed by Janet Malculvich of Detroit Free Press fame and so much more. A 12! $ 840,000 - TOO LATE!!! IT'S SOLD!! Looking for the ultimate in location, style and amenities? Look no further! This wonderful colonial has been totally updated and redecorated with pizazz to provide you with a "forever" home! The lovely entrance foyer provides a view to the large rear yard. The comfortable library has plenty of built-ins and is a great, quiet zone. There is a lovely living room with fireplace and refinished oak floors. The heart of the home is the fabulous kitchen, designed by Chris Blake, which opens to the family room with fireplace and the pretty dining room. There is a mudroom, two first floor powder rooms and rear staircase to complete the first floor. Upstairs, there is a large master bedroom with HUGE well-designed closet and private bath, three additional bedrooms with a new hall bath and a new powder room. There is a finished lower level with recreation room, powder room, laundry room and great storage. Add to that the attached two car garage and fabulous yard, great location, wondeful schools and private residents' only park and you have it all!! 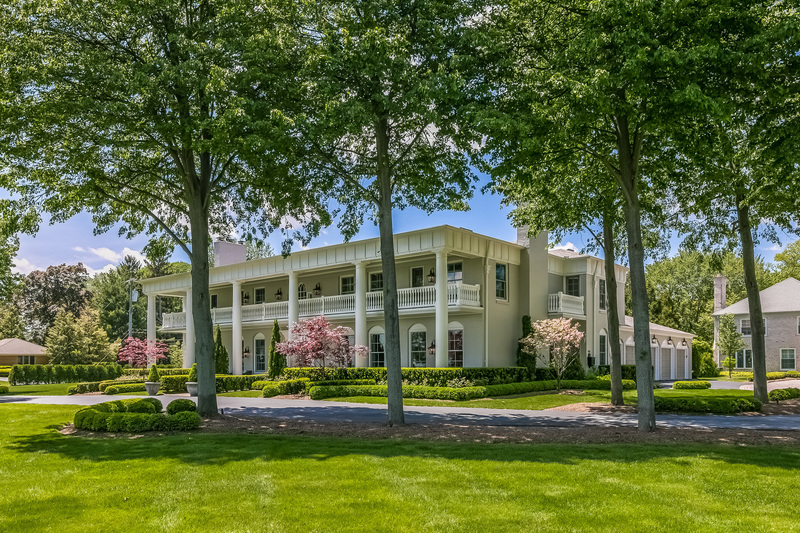 LAKEFRONT in Grosse Pointe Shores is the ultimate in luxurious living! 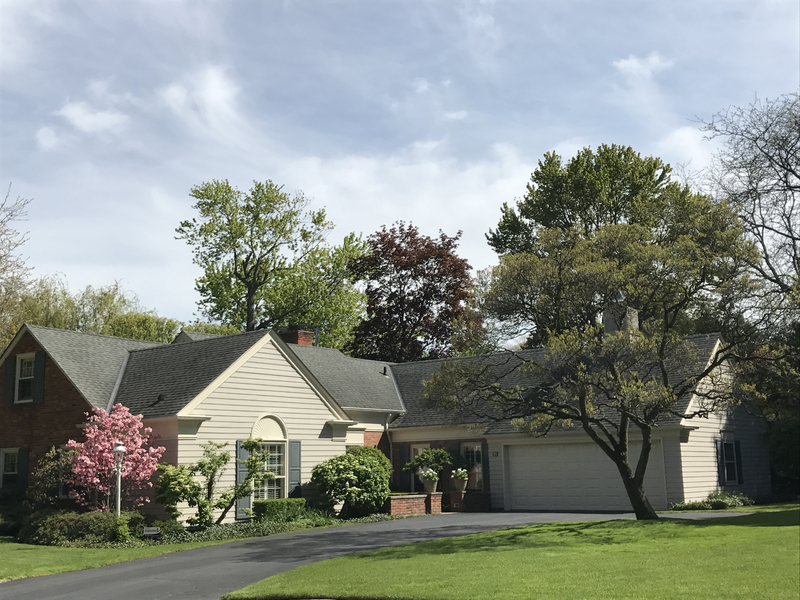 Drive through the gated entrance and wooded landscape to arrive at the residence which is situated on the shores of Lake St. Clair on an almost two acre lot. Custom built with incredible design sense, this magnificent five bedroom, five full bath, two half bath residence offers an incredible floor plan within its almost 10,000 square foot interior. Library, lake room, first floor master bedroom, gourmet kitchen with separate chef's kitchen, four car garage with heat and water, finished lower level and almost two acres of incredible natural beauty. FABULOUS RENOVATION of this Micou-built colonial with AMAZING LAKE VIEWS is remarkable in every aspect. The architectural design has been complemented by the utilization of impressive construction materials, beautiful room composition and an exciting harmonization which blends them together. The soaring entrance foyer with marble floor provides a dramatic hint of the beauty that lies within the walls. Every room has undergone a remarkable metamorphosis. No expense was spared in creating this transformation! 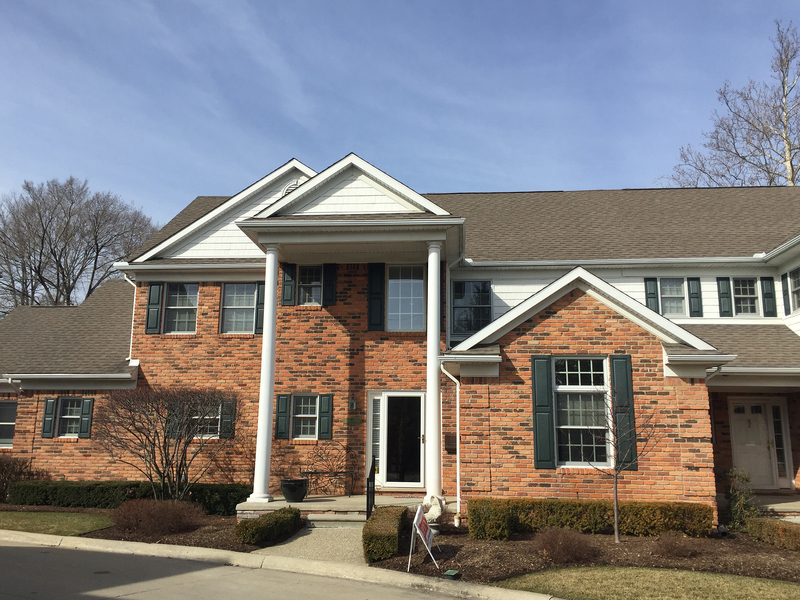 Five bedrooms, four full baths, two half baths, gourmet kitchen with adjacent breakfast/sitting room, library with rich paneling and lake room with views of the private yard and our international waterway, Lake St. Clair. Incomparable master bedroom suite, guest area with sitting room, second and lower level laundries, three car garage, slate roof, six fireplaces, slate terrace, fenced rear yard, zoned heating and cooling systems and finished lower level. STATELY ENGLISH TUDOR has been impressively maintained and nicely updated throughout to provide a comfortable lifestyle. This handsome five bedroom, three and one half bath residence offers generous square footage (3800) on the inside and an especially inviting inground pool (40' x 20') on the outside! Beautiful casement windows, deep plaster moldings, natural woodwork, refinished oak flooring and gracious floor plan complement the character of this home. 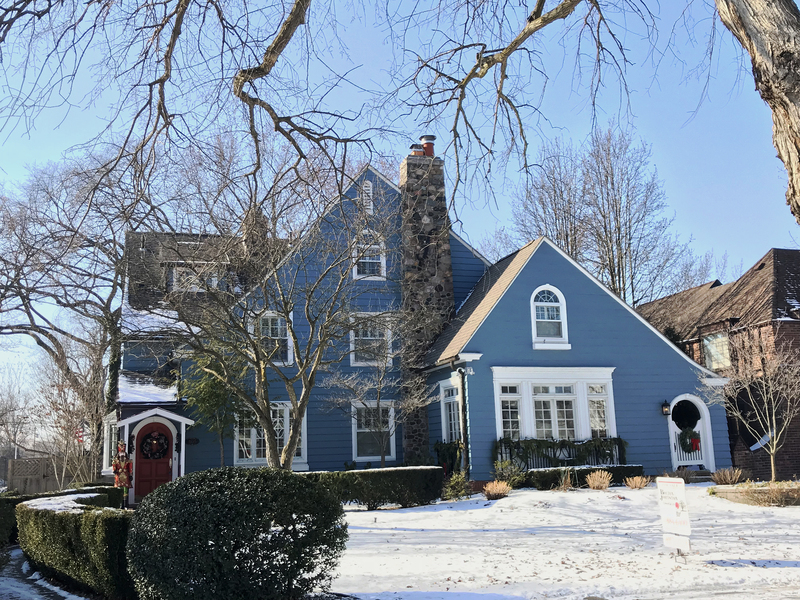 Cozy den, family room with Vermont castings stove, remodeled kitchen with breakfast room and adjacent mudroom, finished lower level with separate recreation areas, laundry, lav and storage, dual staircases, third floor hideaway and three car garage. 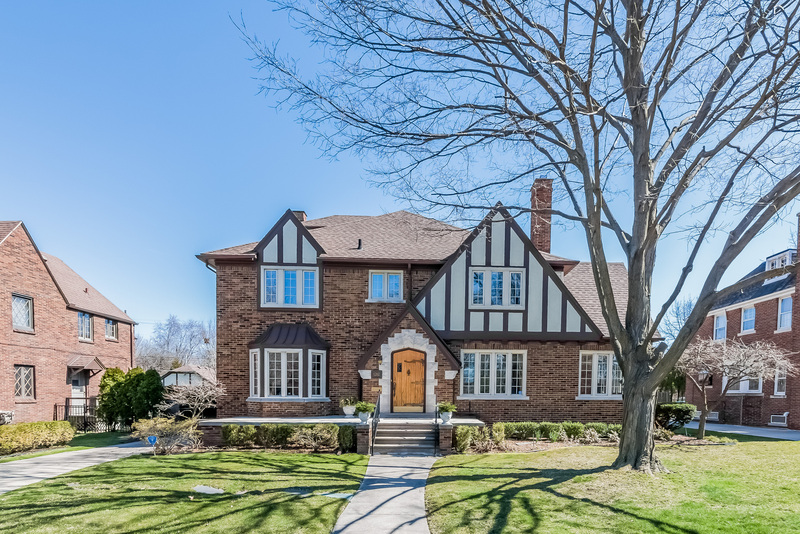 An amazing house in an equally amazing neighborhood near Kercheval in the Park with its schools, shopping and restaurants. SWEET AND PETITE! 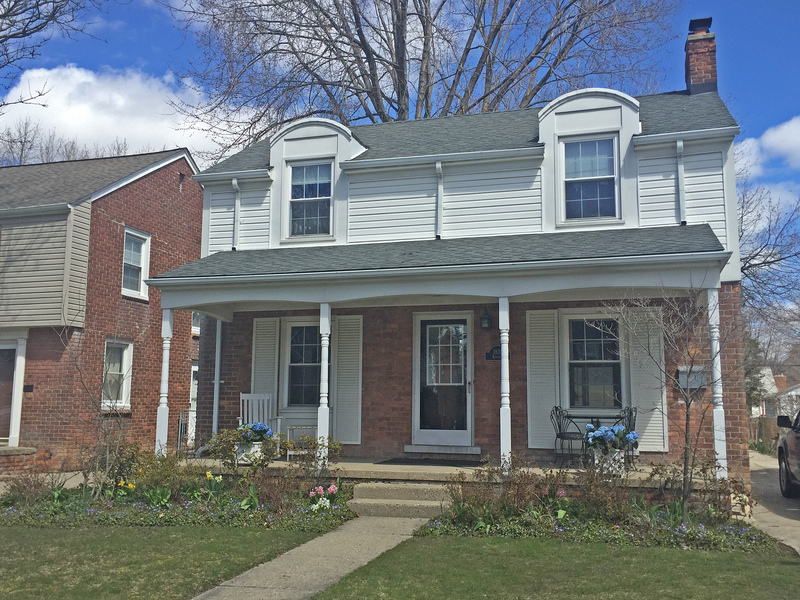 Adorable three bedroom, one and one half bath colonial in great location near Ghesquiere Park and the shops and restaurants of Mack Avenue. From the moment you enter, you'll be impressed by the clean lines and nice updates! Pretty living room with natural fireplace, refinished oak flooring and coved ceilings opens to the family room with its bay window and view of the deep rear yard. The kitchen has been updated and includes all appliances. There is a newly remodeled lower level with carpeted recreation room, tiled laundry area and project/storage areas. Enjoy evenings on the brick paver patio with its built-in firepit. Two car garage. Central Air. A perfect beginning! CUTE AND CONVENIENT! Wonderful colonial offers character and clever updates within its 1800 square foot interior! From the moment you enter this handsome home, you'll be impressed! Pretty living room with natural fireplace and refinished oak floors opens to the sizeable screened porch. The efficient kitchen has been nicely updated with stainless appliances and extensive cabinets. "Peek-through" to the pine-paneled family room and be part of the action! Formal dining room and powder room complete the first floor. Upstairs, the master bedroom offers an adjacent sitting room/office or nursery, two additional bedrooms and full bath. Two car garage. Central Air. Quick occupancy! $ 435,000 - NEW PRICING!!! DRAMATIC DESIGN is featured in this handsome newer condominium on quiet dead-end street. One of only ten units and the only one with a first floor master bedroom, this stylish townhouse is a rare find. From the moment you enter, you will be impressed with the two story foyer. The den offers a cathedral ceiling and beautiful hardwood floors. The first floor master isa rare commodity as is the large walk-in closet. The master bathroom has both a jacuzzi tub and separate stall shower. The sun-filled two story great room with fireplace opens to the gourmet kitchen with its cherry cabinets and adjacent first floor laundry. Upstairs, there is a loft/sitting room, two spacious bedrooms and hall bathroom. Attached two car garage, private patio, full carpeted basement and great location. This one won't last long!! 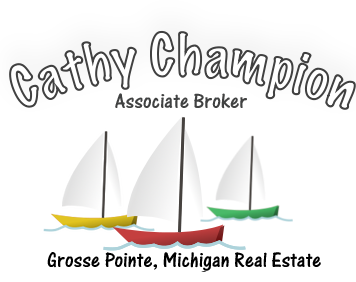 WATERFRONT LIVING FROM YOUR PRIVATE RETREAT on a deep water canal near Lake St. Clair! This like-new contemporary has custom features throughout and the emphasis is on easy living! The low maintenance exterior is complemented by the clean lines of the interior with its nine-foot ceilings, open floor plan and sizeable rooms. Designed to take advantage of the water but capitalize on those features that today's buyers want: efficiency, style and function. Gorgeous kitchen opens to the great room with its fireplace, cork flooring and doorwall to the expansive deck. Outside, there is a hot tub for year round pleasure, steel seawall with room for a 28' boat, two retractable awnings, brick paver patio and walkways and water views from the private canal to the lake. Four bedrooms, two and one half baths, deep basement for exercise, rec room or storage, attached garage and great location near the Nautical Mile! WALK TO LAKE ST. CLAIR or quietly relax on your private, brick terrace and enjoy the beautiful perennial plantings that surround you. 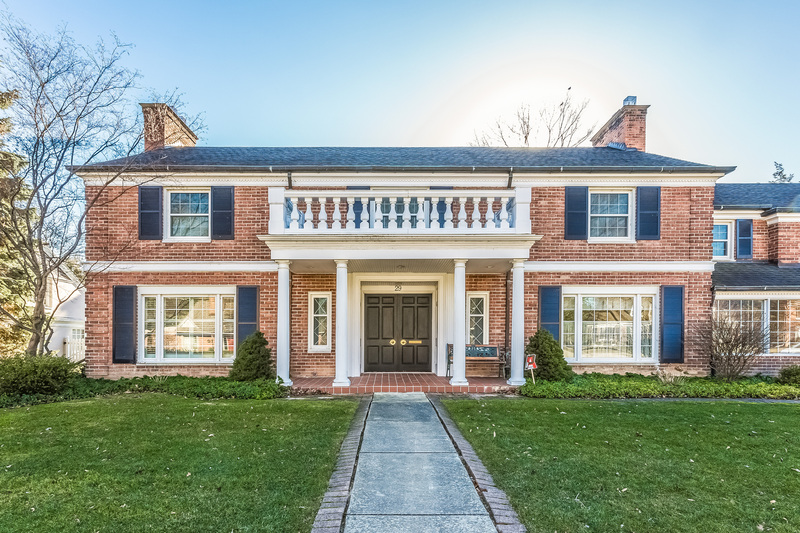 This handsome Georgian-inspired colonial has been recently redecorated, updated and meets today's buyer's expectations! The gorgeous entrance hall with its detailed mouldings, lovely staircase, hardwood floors and high ceilings greet you as you enter. Step-down into the lovely living room with its fireplace taken from the Dodge Estate and you are surrounded by light infused from the beautiful set of French doors. The gourmet kitchen opens to the richly paneled family room with fireplace and its French doors to the walled brick patio. Upstairs, the master suite is amazing with a fireplace, soaring ceilings, two dressing rooms and two private baths. Two additional bedrooms each with their own bath and second floor laundry complete the second floor. The basement offers a recreation room with new carpeting, storage room and separate furnace room. A must see and it offers immediate occupancy! EXCEPTIONAL RANCH-STYLE CONDOMINIUM WITH LAKE VIEWS is a rare find! Located just above the elevator lobby on the second floor, this beautifully decorated unit provides a low maintenance lifestyle in a sophisticated environment. Built in the '90's with an emphasis on design and efficiency, this two bedroom, two and one half bath one story residence is perfect for those seeking a quiet environment with impressive appointments. The updated kitchen provides an eating area, built-in appliances, granite-topped island and adjacent laundry room. There is a three-season porch with access from the kitchen, great room and library. The library offers built-ins and could double as a 3rd bedroom. More information is available here! Call for your private appointment! BRAND NEW ON MARKET and NOW SOLD!! 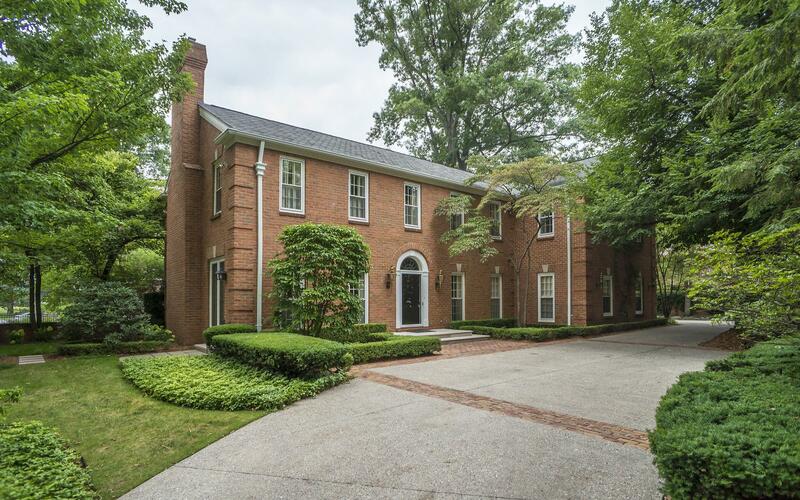 STUNNING COLONIAL NEAR WINDMILL POINTE offers a classic design with contemporary flair! From the moment you enter, you will be impressed with the custom features and architectural distinction. Beautiful wide entrance hall leads to all the main living areas of the house. The pretty, paneled library with corner fireplace and built-ins is a quiet retreat. Gorgeous living room with gentle bay and fireplace, massive dining room with French doors, and family room with brick fireplace and door to the patio and gazebo are great spaces. The kitchen was tastefully remodeled with granite-topped island with five burner gas range, Amish cherry cabinetry, Thermador ovens, SubZero refrigerator and adjacent eating area with clever built-ins will be one of your favorite areas. 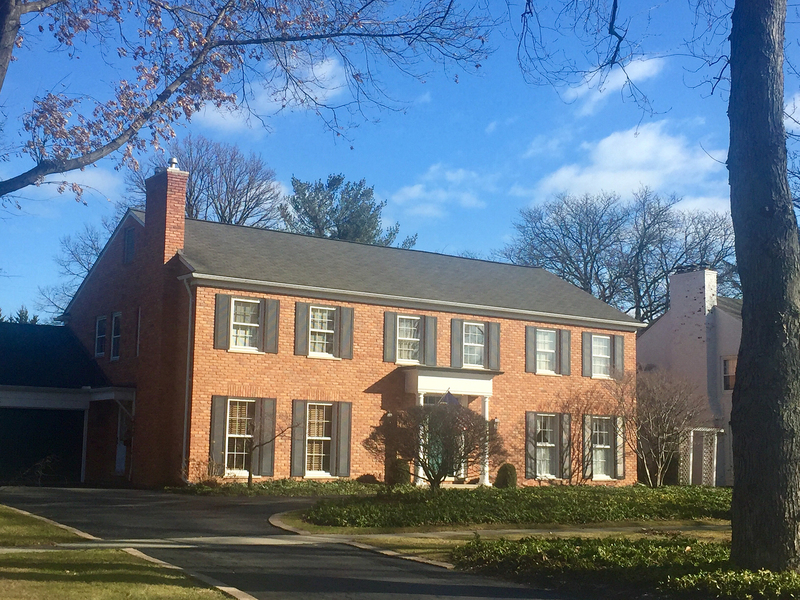 Six bedrooms, three and one half baths, finished lower level with rec room with fireplace, attached two plus car garage, main and service staircases and an elevator which travels to all three floors. Close to schools and the private residents' only park, this house won't be available for long! Call for your private appointment! Watch this amazing drone footage here! SITUATED ON A HILL PROVIDING AN UNEQUALED PANORAMA OF LAKE ST. CLAIR, Fox Hill is a masterpiece of design. This meticulously maintained six bedroom residence has all of the attributes that you would expect from this world class home. The floating staircase commands the entrance hall and almost every room has spectacular lake views. Step-down living room with fireplace and gorgeous moldings, stunning library with built-ins and fireplace, garden room with adjacent blue stone patio, year-round solarium, fabulous kitchen with fireplace, island, butler's pantries, eating area and built-in appliances opens to an inviting family room with fireplace and bar. The resort-like grounds offer an amazing pool with separate built-in hot tub, patios, chipping/putting green, acres of rolling grounds and gardens. There is also a separate building which houses four cars, which is heated and cooled, and has a finished upper level for additional projects or events. The attached four car garage makes this a car lover's dream. There is nothing comparable to this home in this condition in this location for this price...Brochure available.. SOLD!!!! SPECIAL HOME IN THE FARMS has been lovingly maintained and wonderfully updated to provide a home that is perfect for families, singles, empty nesters or people in general! Approximately $50,000 worth of improvements were just completed including the new random width planked hardwood flooring in the cheerful family room and delightful, spacious kitchen. The new Marvin door wall in the "keeping room" with its ten foot ceilings and corner fireplace will delight all who enter. There is a granite-topped island in the kitchen along with extensive cabinets and built-in appliances. 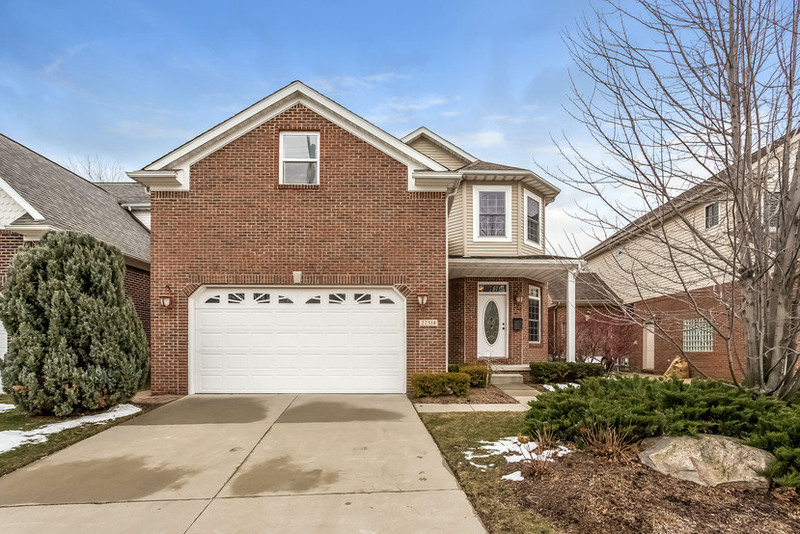 The four bedrooms, two and one half baths on the second floor, lovely living room with fireplace, formal dining room with adjacent intimate patio and fully finished lower level with bath are sure to be everybod's favorite. And, the inground pool with grogeous perennial gardens and private patio are amazing. Brochure available here. NEW ON MARKET!! ADORABLE TWO BEDROOM RANCH that feels like a much bigger home in quality and extras! With an interior that delights in every room, this well-maintained ranch has so much to offer! Entrance foyer allows easy access to the main rooms of the house and you'll be pleased to find the spacious living room with fireplace opens to the sizeable dining area. The den offers a tray ceiling and could be a guest room for the occasional visitor. The gourmet kitchen gleams with its granite countertops, extensive cabinetry, built-in appliances, island and buffet area with bar sink. The kitchen opens to the family room with one of the three fireplaces and door wall to the aggregate patio and manicured lawn and gardens. The lower level provides additional space with its recreation room with fireplace, lav, laundry room and HUGE storage area. A must see!! $ 235,000. VACATION AT HOME! This is an amazing residence that features the open floor plan that everyone wants in a lakefront setting! Exciting kitchen with 14' island defines the space and is composed of recycled glass bottles and minerals, Thermador professional oven and hood, SubZero refrigerator and new dishwasher opens to the living room with vaulted ceiling and fireplace, family room with fireplace and to the garden room with its passive solar heat. The upstairs master bedroom retreat is on two levels with a private, sumptuous bath and balcony overlooking the water. Four additional bedrooms and two more bathrooms complete the second floor. But, it's the lake! Over 50' feet of seawall with davits and an additional well that accommodates a 38' boat is in the sheltered inlet. "Boat" port is adjacent to the two car attached garage to house more toys or a vehicle. WOW! SOLD!! !